Sarah Pickering, relationship manager, customer treasury services, Allied Irish Bank. As many Companies are well into the budgeting process for 2016 there are various economic and political risks that may impact your foreign exchange and interest rate forecasts, thereby potentially eroding profit margins. In this context the referendum on Britain’s membership of the European Union this year may result in significant volatility on the financial markets in the run-up to the referendum. In a similar vein to the uncertainty surrounding the Scottish referendum in 2014 and the 2015 UK General Election, the referendum on Brexit may weaken sterling against the euro and the US dollar. While companies should continue to budget for 2016 and beyond as normal, it’s useful to consider these types of tail end risks which are deemed to be of a low probability but high impact in nature. These are risks which should be closely monitored and you may want to consider hedging solutions. If your business is trading internationally, you may generate revenues and costs in different currencies. This can expose you to Foreign Exchange risk, where adverse currency movements may reduce or eliminate the margin you earn on the underlying transaction. At Allied Irish Bank (GB), we want to help your business meet its financial objectives and minimise uncertainty. 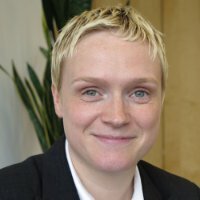 Sarah Pickering of Allied Irish Bank (GB) Customer Treasury Services works as a member of the East Midlands Business Team based in Nottingham. “Our specialist Treasury Website www.fxcentre.co.uk contains up-to-date interest and foreign exchange rates, business news feeds as well as a huge amount of other economic and financial markets topics provided by our Economic Research Unit. Customer Treasury Services also offer a range of Trade Finance products to help businesses manage the risks associated with international trade, and to help your business win contracts abroad. We have a highly experienced support team who will work with our Customers to understand your requirements and discuss the features of the various products available to help mitigate your treasury risks.